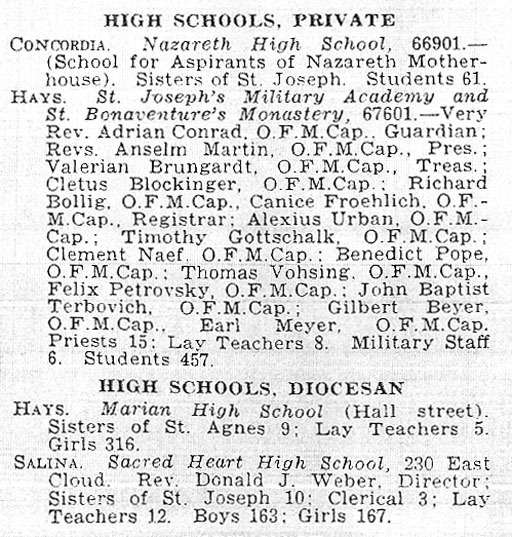 These are Catholic high schools in the state of Kansas which were once in operation, but were closed. Some are from the very early part of the 20th Century or even late 19th Century. Click on the name of the school for details. * All combined in 1970 to form St. Thomas More-Marian H.S. Below are vintage directories of schools from 1965 presented for nostagia and historic purposes. 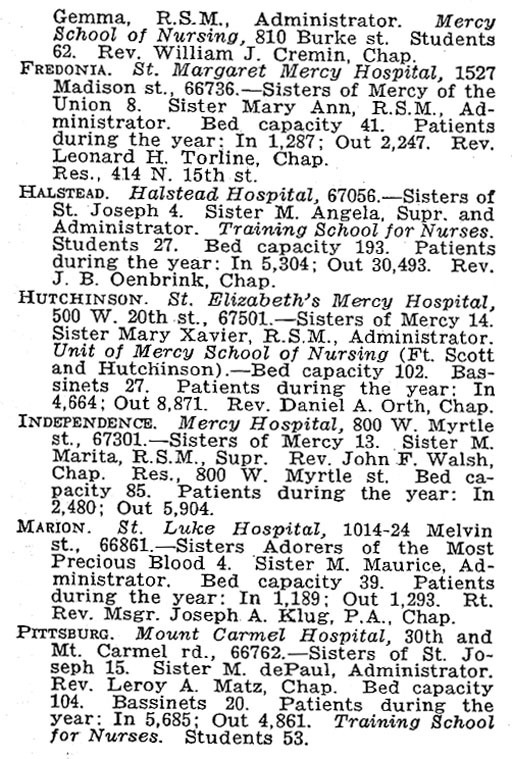 Please note that some schools included in these vintage listings may still be open. You may refer to the listings under Current Schools for cross-reference.